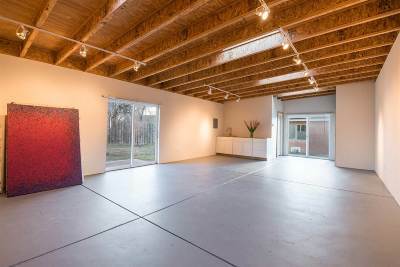 This unusual property includes a main house, guesthouse and a real artists studio! 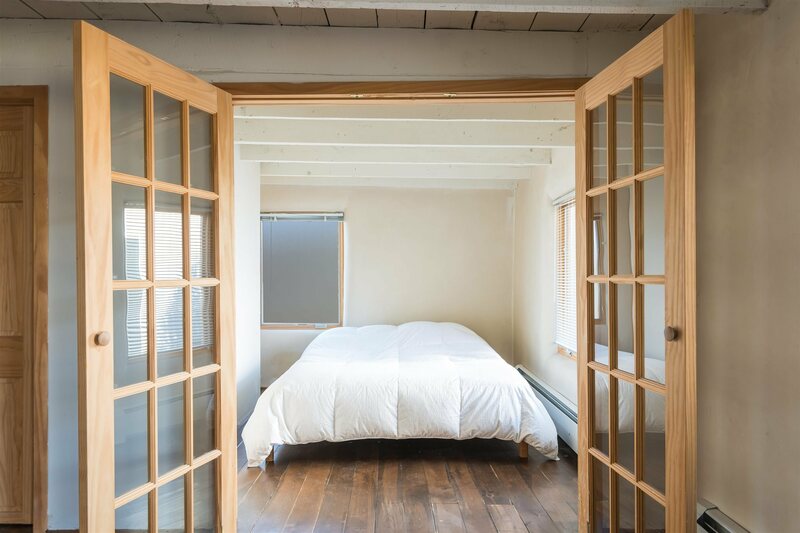 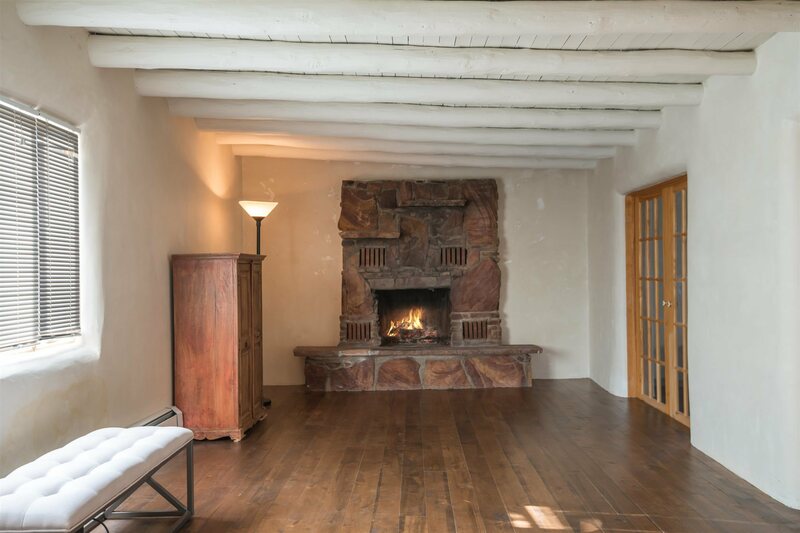 The main house has an elegant living room with hand built fireplace and beams that open to a bright kitchen as well as a large den/office area with another fireplace and a cozy bedroom and bath. The attached guesthouse has an open kitchen/dining living room and a bedroom and bath. 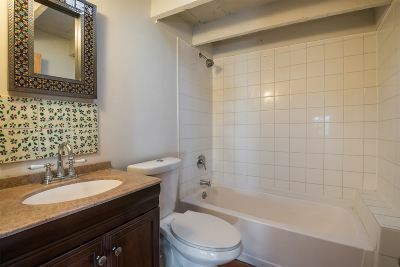 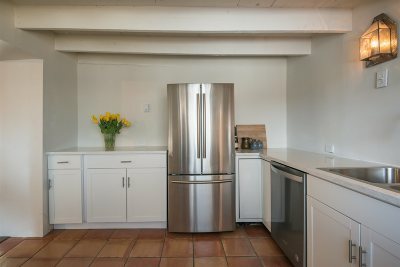 The studio is a separate building and includes a full bathroom and a large, open studio area that has a sink and counter. 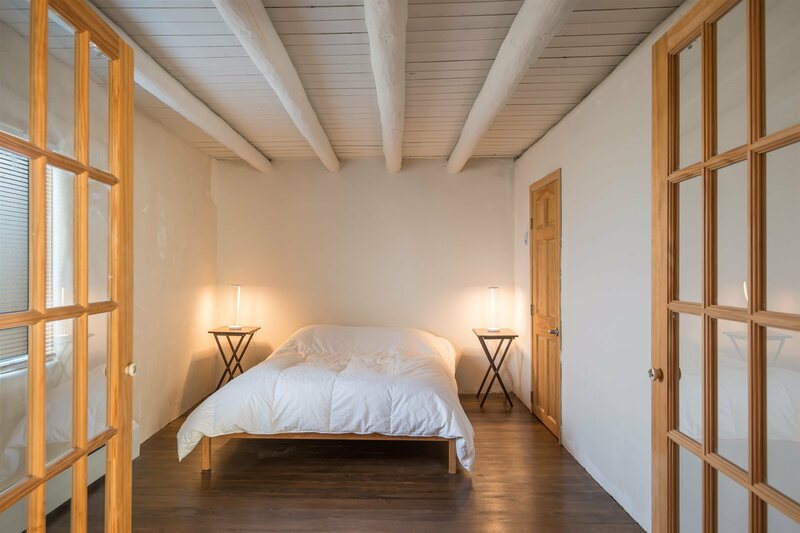 A studio like this is a rarity in Santa Fe so bring your artists, as this is a fabulous work-space. 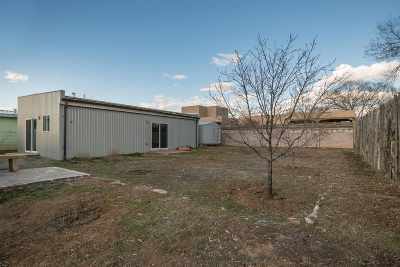 The property is fenced and there are many lovely fruit trees. 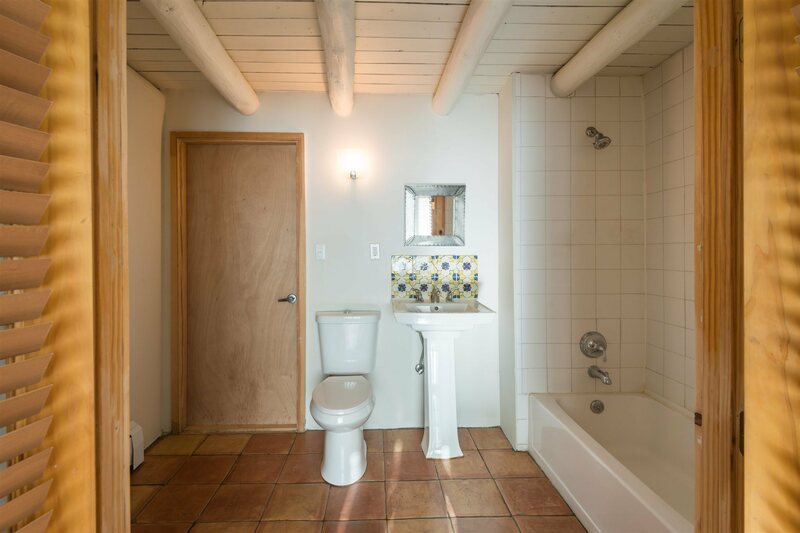 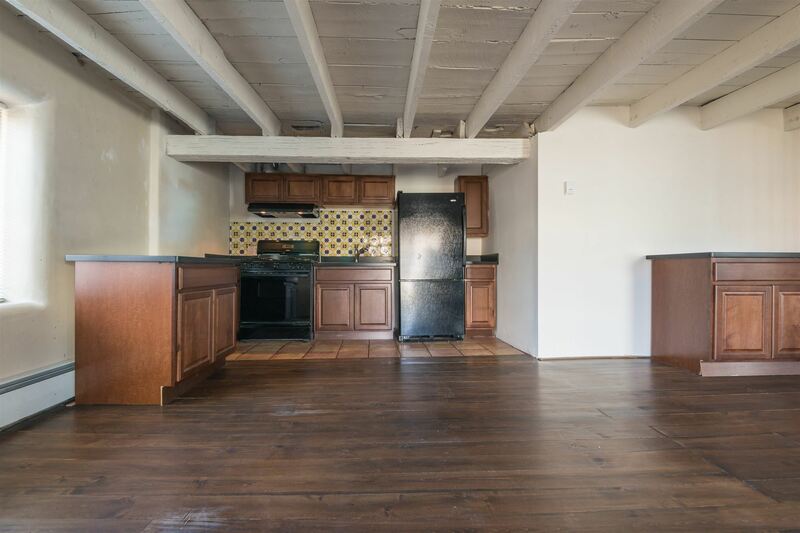 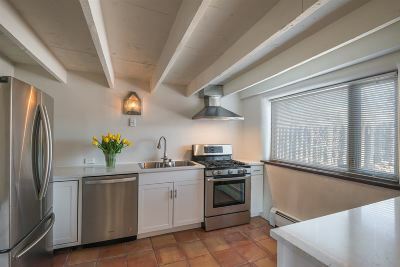 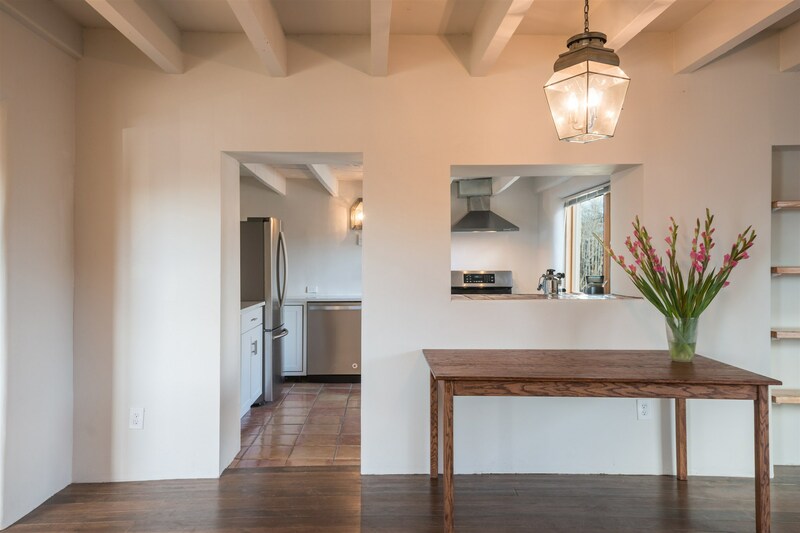 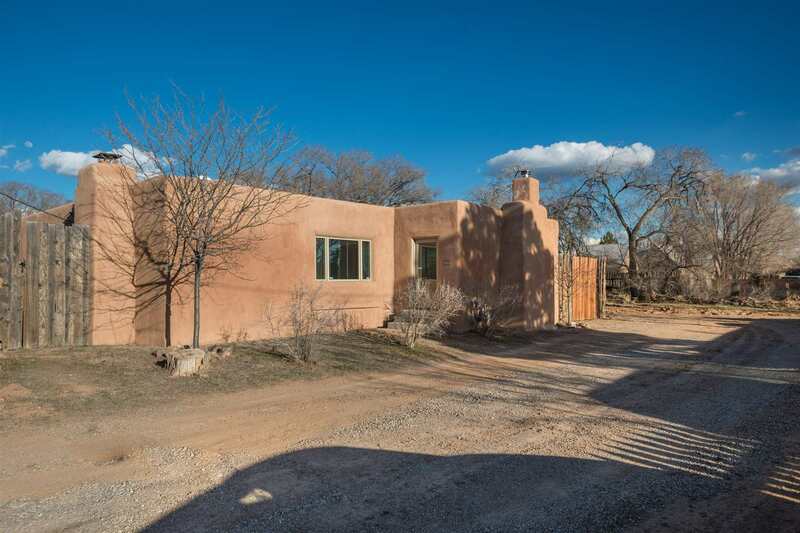 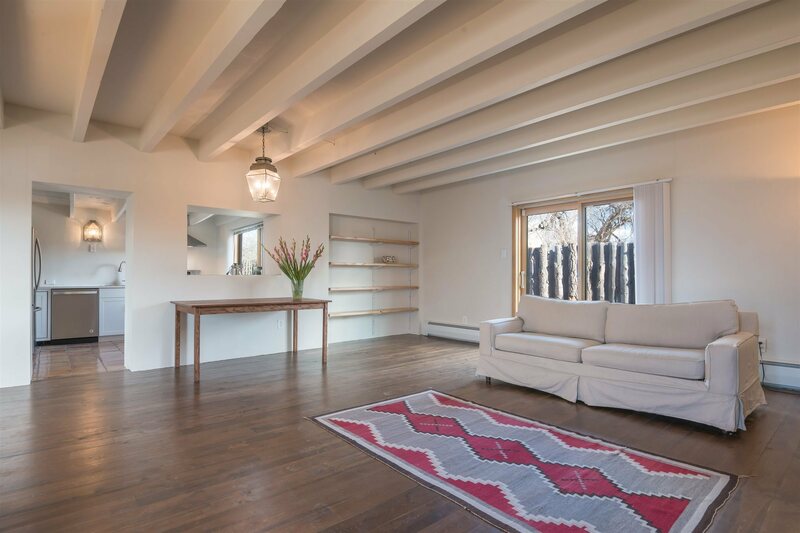 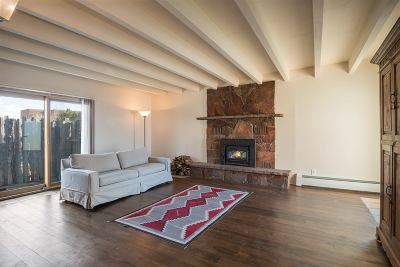 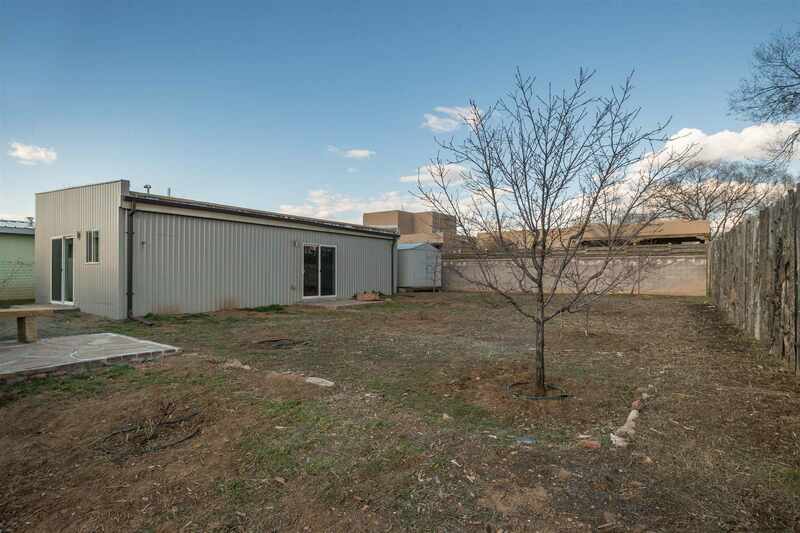 Located on a dead end street with very little traffic and easy access to both the north and south sides of Santa Fe. 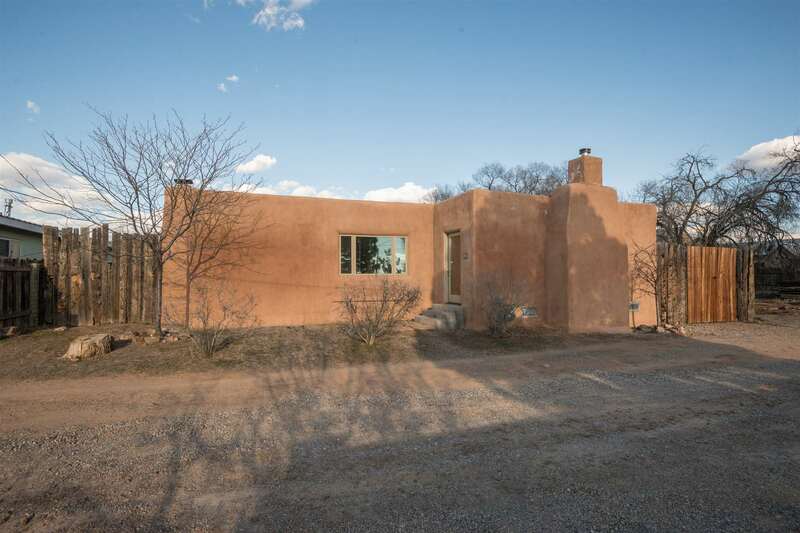 Directions To Property: Agua Fria Left On, La Joya Road.